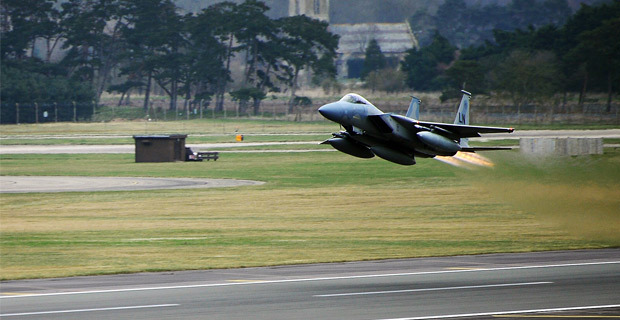 A F-15C Eagle takes off from a base in England. “We have decided to suspend all practical civilian and military cooperation between NATO and Russia. Our political dialogue in the NATO-Russia Council can continue, as necessary, at the Ambassadorial level and above, to allow us to exchange views, first and foremost on this crisis,” the statement reads. The alliance plans to review its relations with Russia at a meeting in June.